What is the difference between grinding and clenching? Bruxism can be defined as an involuntary or unconscious habit of gritting, clenching, gnashing or grinding teeth. Bruxism is the third most common sleep disorder and it occurs in all ages, races and genders. There are two kinds of bruxism; daytime and sleep bruxism. Daytime bruxismtakes place during the day and is mainly a response to stress, anxiety or anger. Daytime bruxism is expressed by clenching teeth. Sleep bruxismoften occurs when you subconsciously grind and clench your teeth at night while you sleep. Grinding normally occurs many times at night and may last for 4 to 15 seconds. Clenching means firmly holding your upper and lower teeth together while grinding involves rubbing or moving your teeth across one another. Everyone grinds their teeth in one way or another but only a small number suffer severe bruxism. Bruxism reports are mostly generated by dentist and not the general public. When you feel pain on the teeth while eating or drinking something hot or cold, this means that the enamel on the teeth surface has worn away. The enamel might have been worn away due to the constant grinding of teeth. The obvious sign of bruxism is when you grind your teeth with audible noise such that those around you cant help hearing. Intense grinding mostly occurs at night and the sufferer may not know unless he or she is told about it. When you sleep sideways at night, the tissue on your cheeks can get damaged due to grinding teeth. The hard layer on the surface of the teeth can easily indicate a sign of bruxism. The teeth becomes fractured, worn down, flattened or chipped. Grinding involves constantly moving and stretching the jaws and facial muscles which results into tension hence pain and tightness. Migraines are consequences of facial muscle tension. Headaches and earaches are also brought about by tension that is caused by grinding teeth. Temporomandibular joint inflammation is a condition that results from bruxism. The inflammation occurs in the lower jaw to the skull, the surrounding tissues and muscles which swell and become painful. There are four known ways of diagnosing bruxism. On suspicion that you grind your teeth, make a visit to the dentist. The dentist will try to diagnose bruxism by a basically examining your jaws, mouth and teeth to detect any unequivocal signs. Sometimes, if necessary, you can be referred to a sleep specialist. Biofeedback headbands have a capability of monitoring how many times a person clenches and grinds teeth at night. 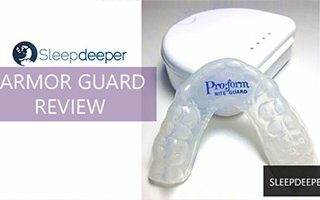 The device can be used by doctors to determine how severe the bruxism is. 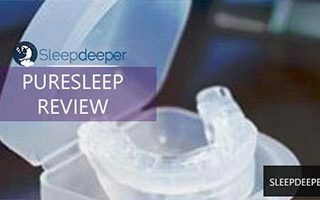 Tooth wear can be caused by anything, which is why doctors and dentists recommend sleep labs. In the labs, the technicians measure the chewing muscle activity by use of an electromyography (EMG). The resulting test can then show whether he tooth wear is caused by grinding occurs while sleeping. Teeth grinding can be identified by your sleep partner, family member or anyone who hears your grinding your teeth especially while you are sleeping. Excessive wear and breaking of the teeth is among the many complications that are a result of teeth grinding. Teeth become misaligned when affected by too much pressure which can lead to teeth loss. Receding of gums can also cause further risk of teeth loss. Teeth grinding also increase the pain and inflammation of TMJ. Chronic headaches, facial pain, earaches are also caused by bruxism. As a result of the pain caused by bruxism, you may experience difficulty in chewing and loss of appetite leading to more health complications. Biofeedback treatment which trains the sufferer to get rid of the habit of teeth grinding. Biofeedback alerts a bruxer when the jaw is under tension. Mouth guards can be worn in the mouth to prevent your teeth from damaging and also to reduce pain. 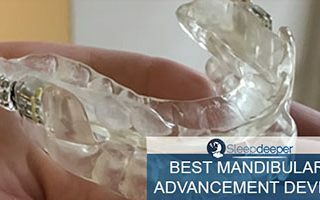 Tension Suppression System, (NTI), is a device that is fit over two top incisor teeth to prevent them from getting into contact with the lower teeth, thus decreasing muscle tension. Jaw positioning and relaxation techniques, behavior therapy and stress therapy are remedies of teeth grinding. The therapies are meant to alleviate anxiety. Doctors can prescribe muscle relaxants in severe teeth grinding. Use of a taste-based-method which involves inserting a small pack between the two back molars. Clenching the teeth causes the pack to rupture and produce a foul tasting substance. This makes a person to loosen the jaws and thus reduce clenching and consequently grinding of teeth. 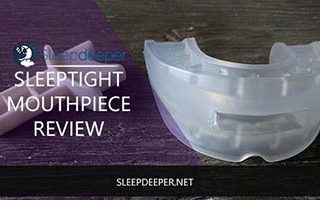 ZQuiet Review: Does the Mouthpiece Really Work?